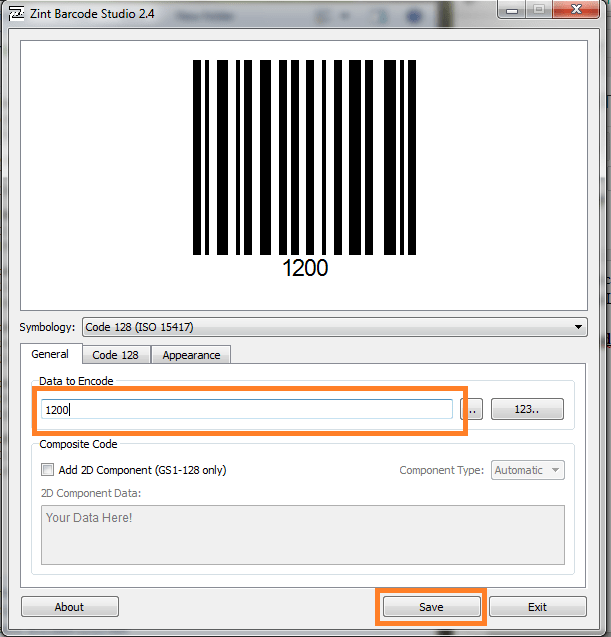 You can create barcodes for any alphanumeric combination using Zint Barcode Generator. Download Zint Barcode Studio From http://sourceforge.net/projects/zint/. It is available for both windows and Linux. 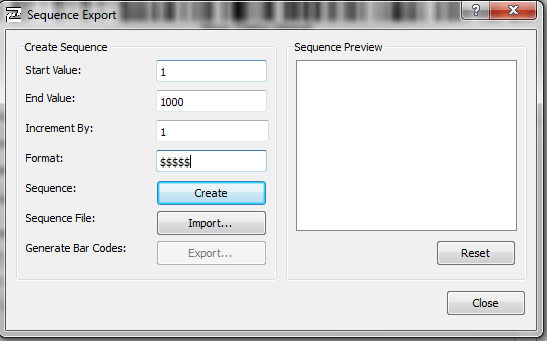 Open The Software and Type the Data To Be Encoded on Box. 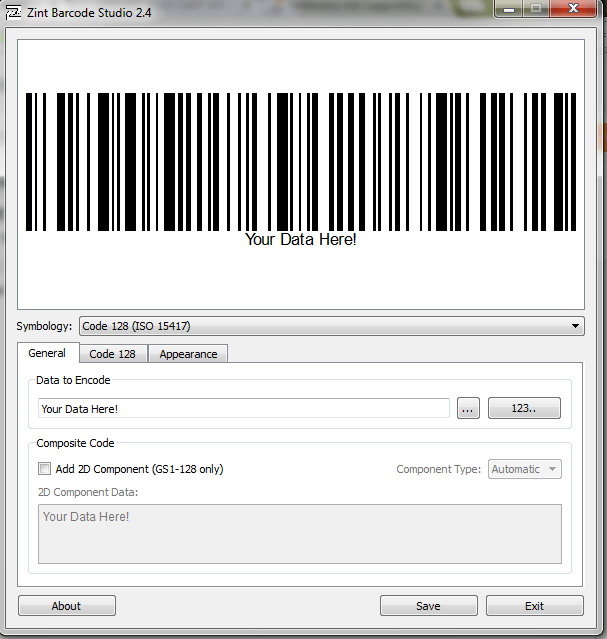 Then The Corresponding Barcode can be seen on the above box. Just Press The Save Button and Select The location to be saved. 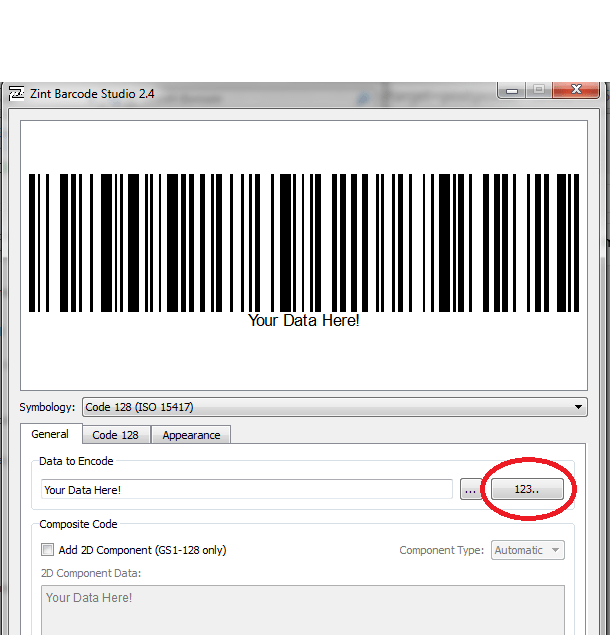 Zint Barcode Studio allows to generate a large number of barcodes with sequential values. For that, just select 123.. button. A new window will appear. Let’s understand this through an example. 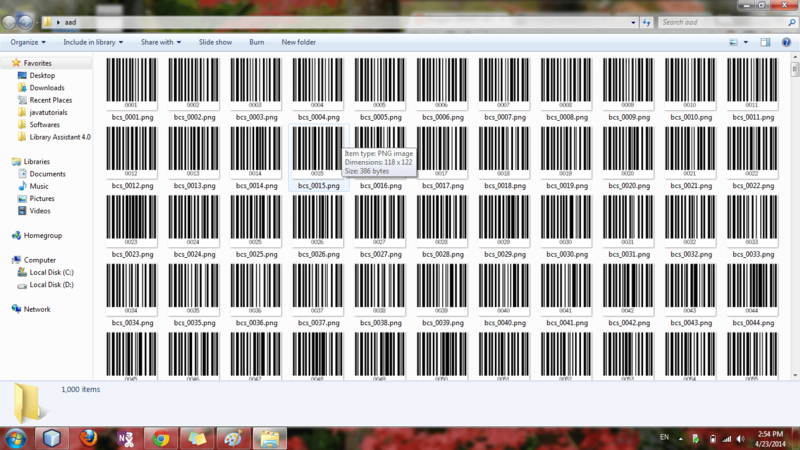 Let’s say I have to make barcodes for numbers 1-1000. Then the entries should be as follows. then the values will be 0001, 0002 ... 1000. Select the Directory to be saved .